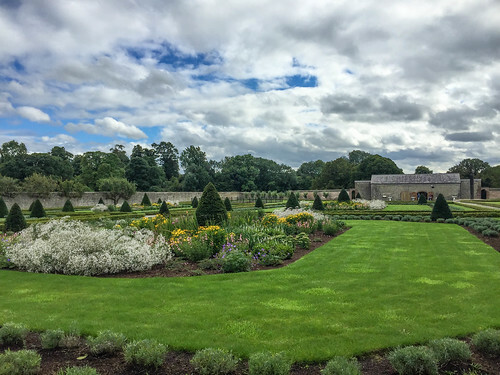 Having defeated his father-in-law and uncle, James II, at the Battle of the Boyne in July 1690, William of Orange marched south through Carlow and Kilkenny in pursuit of James and his army. James fled south and departed for France from Duncannon in County Wexford. He lived in France for the remainder of his life. James II died on September 16th 1701 at Saint-Germain-en-Laye. The Battle of the Boyne was part of the Williamite–Jacobite War in Ireland, which was part of a wider war between William and King Louis XIV of France. Louis XIV, with the support of James II had ambitions to dominate Europe. A grand alliance (League of Augsburg) which included William of Orange and Pope Innocent XI were opposed to the plans of Louis. The Pope provided William of Orange with financial assistance for his campaign. William, at the invitation of those in England opposed to James II, landed in England on November 6th 1688. James fled to France. William and his wife Mary, daughter of James, became joint sovereigns of England, Scotland and Ireland in the Glorious Revolution of 1688. James landed in Kinsale on March 12th 1689 to begin a campaign to recover his throne. William landed at Carrickfergus on June 14th 1690 and began marching south. The armies of the two monarchs met at the Boyne near the town of Drogheda about 50km north of Dublin city. Five days after his victory at the Boyne William continued south making a triumphal entry into Dublin. Leaving Dublin he marched south through Kildare and Carlow arriving at Kilkenny City on July 19th. The Williamite-Jacobite war continued in Ireland with major battles at Athlone and Aughrim. The war ended with the signing of the Treaty of Limerick between Patrick Sarsfield and the Dutch general Godert de Ginkell on October 3rd 1691. The effects of the war however, are still felt in Ireland. James FitzJames Butler, 2nd Duke of Ormonde had voted against the motion proclaiming William and Mary as joint sovereigns. However he subsequently supported them and was one of William’s commanders at the Battle of the Boyne. 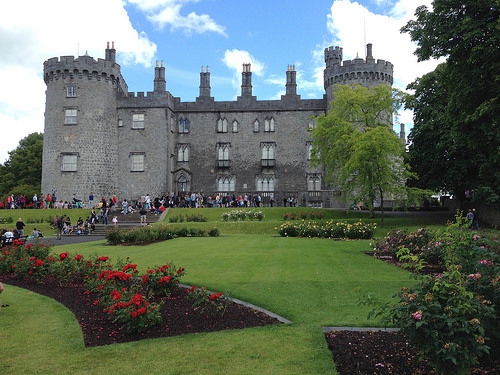 When William of orange arrived in Kilkenny he was welcomed by Ormonde and entertained at Kilkenny Castle. 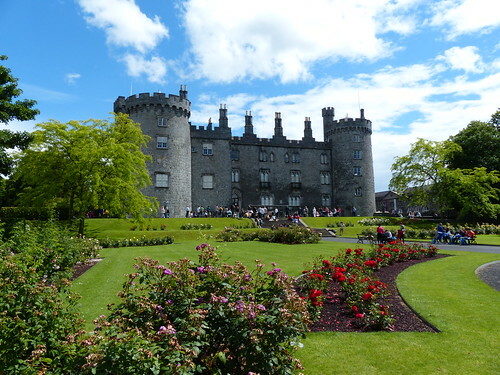 William of Orange was entertained at Kilkenny Castle by James FitzJames Butler, 2nd Duke of Ormonde in the year 1690 On This Day. The Battle of the Boyne was fought in 1690 between the English King James II and his nephew and son-in-law the Dutch Prince William of Orange. 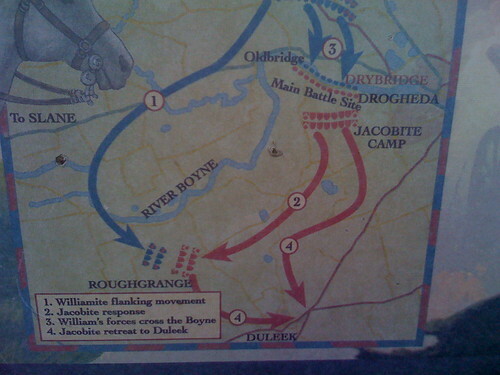 The battle which ended in victory for William took place on the banks of the River Boyne near the town of Drogheda about 50km north of Dublin city. The Battle of the Boyne is recalled each July in the celebrations of the Orange Order. The Battle of the Boyne was part of the Williamite–Jacobite War in Ireland, which was part of a wider war between William and King Louis XlV of France. 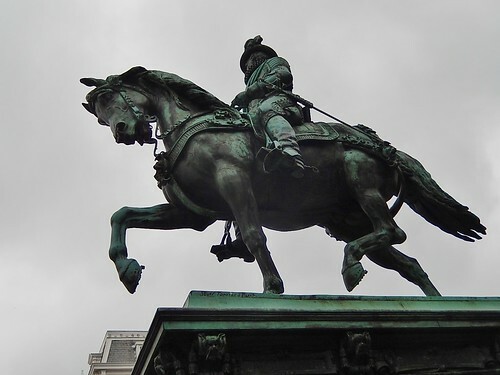 Louis XIV, with the support of James II had ambitions to dominate Europe. A grand alliance (League of Augsburg) which included William of Orange and Pope Innocent XI were opposed to the plans of Louis. The Pope provided William of Orange with financial assistance for his campaign. William, at the invitation of those in England opposed to James II, landed in England on November 6th 1688. James fled to France. William and his wife Mary, daughter of James, became joint sovereigns of England, Scotland and Ireland in the Glorious Revolution of 1688. James landed in Kinsale on March 12th 1689 to begin a campaign to recover his throne. William landed at Carrickfergus on June 14th 1690 and began marching south. The armies of the two monarchs met at the Boyne. 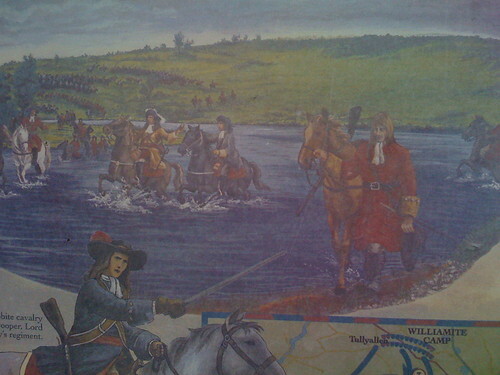 The Battle of the Boyne took place on July 1st 1690. With the modification of the Julian calendar by Pope Gregory XIII the battle is now recalled on July 12th. The defeat of King James by William of Orange ended the fear of a French conquest of Europe and the victory was hailed by Pope Innocent XI. Following news of the victory the Pope ordered the bells of the Vatican to be rung in celebration. Following his defeat at the Boyne James fled south and departed for France from Duncannon in County Wexford. William continued south making a triumphal entry into Dublin five days after his victory at the Boyne. Leaving Dublin he marched south through Kildare and Carlow arriving at Kilkenny City on July 19th. The Williamite-Jacobite war continued in Ireland with major battles at Athlone and Aughrim. The war ended with the signing of the Treaty of Limerick between Patrick Sarsfield and the Dutch general Godert de Ginkell on October 3rd 1691. The effects of the war however, are still felt in Ireland. The Battle of the Boyne which took place in 1690 is celebrated each year On This Day.